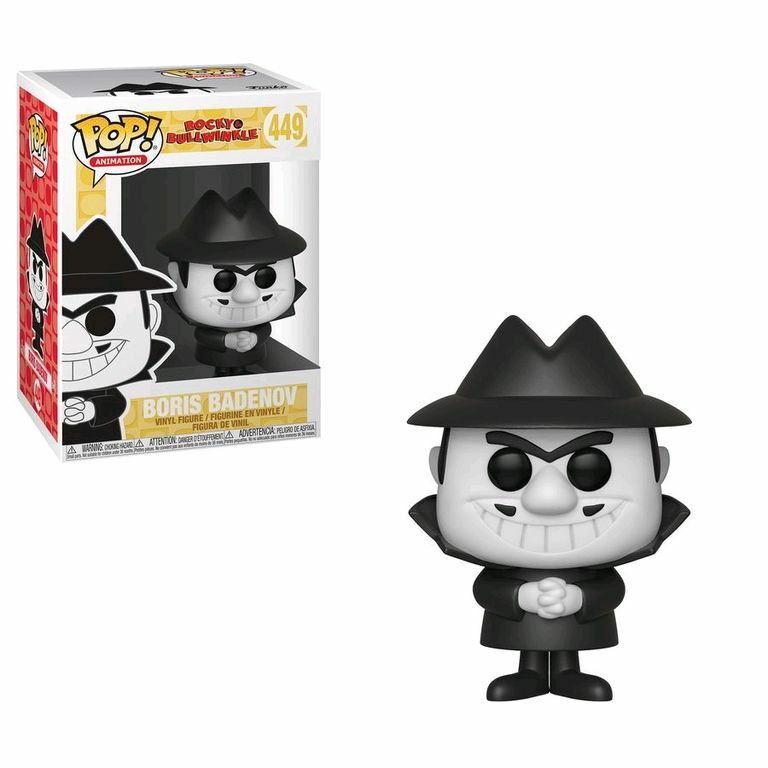 Straight from Frostbite Falls comes Funko's hilarious new wave of Rocky & Bullwinkle Pop! Vinyl Figures! The Adventures of Rocky & Bullwinkle is an animated the series structured as a variety show, with the main feature being the serialised adventures of the two title characters, the anthropomorphic flying squirrel Rocky and moose Bullwinkle. The main adversaries in most of their adventures are the two Russian-like spies Boris Badenov and Natasha Fatale, both working for the dictator Fearless Leader. This Pop! features Boris Badenov, a spy from the fictional nation of Pottsylvania.